Quickly connect external wires to your WeMos D1 Mini using this Terminal Shield. All D1 Mini headers are broken out to matching 3.5mm pitch screw terminals, and also broken out to solder pads. There’s a prototyping area in the middle with extra pads for you to add your own parts, so you can use this shield to combine your own directly connected components with easy external connections. 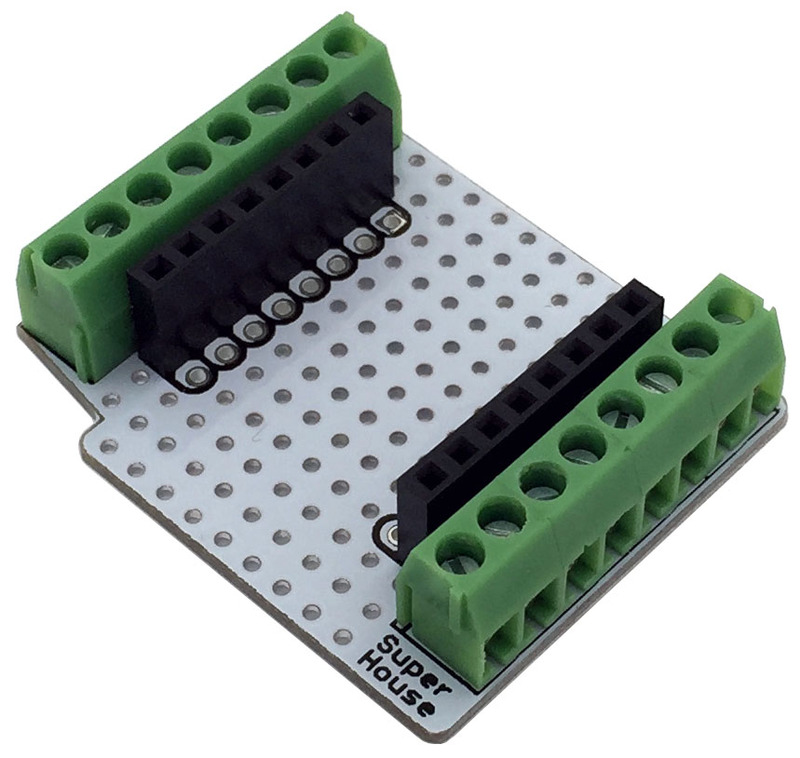 The Terminal Shield can be used with either stacking headers or regular pin headers. Note: I screwed up with generating the PCB production files for the first batch, so the prototyping area in the middle has solder mask right up to the edges of the holes. This means it’s hard to solder parts in place, although it can still be done by putting solder in the holes. The shields work just fine for connecting things to the screw terminals though. This will be fixed in a future batch.